I've seen a few pinners share how they organized their makeup and makeup brushes, and it inspired me to organize my own stuff! I forgot to take a before picture of the table in my bedroom, but believe me, it was a complete mess! The table was covered in makeup, mail, receipts, jewelry, and other ridiculous items. So here's my take on organizing my makeup, brushes, and other products. I used the glass tray for blushes, bronzers, eye shadows, etc., and put the mini glass beads in the cups to hold my brushes and mascara. Here's my newly organized table! I'm actually really pleased with the end result! It's pretty, and everything has a place. The only thing I'd change (if I could) is that the cup doesn't hold many items once the beads are inside. But, for me it's not an issue because I don't use many brushes and whatnot. There are lots of other options instead of the cups, but I liked them because they had the light green tint like the trays! Now, on to the next Pinterest Project! the perfect SMART Board ball! I went to Target a few days ago, and started off in the $1 section because I was searching for items to put in my prize box at school. I usually find cute note pads, stickers, art supplies, etc., but nothing amazing. Until the other day! My initial reaction was that they were cute, so I got a few different colors for my prize box. The next morning, I went into my best friend's classroom to say good morning, and she was watching a movie on the SMART Board while packing up and getting ready to move classrooms. 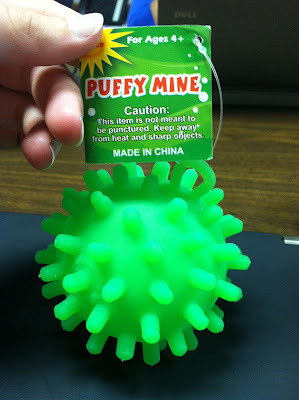 I showed her my prize box finds, and had the notion to throw the puffy mine ball at the SMART Board. I just finished working on a SMART Notebook document that's a "Meet Mrs. Alexander" game/activity that I'm going to use at Meet the Teacher in August. I'm really enjoying the class I'm currently taking online at ECU...EDTC 6070 Digital Literacy for 21st Century Classrooms. The assignment we're working on right now is developing three projects, and I've found a lot of great sources and useful information from my classmates from blogs, links on Delicious, photo sharing with Flickr, and more! ZooBurst is a site where you can make interactive 3D pop-up books! A basic teacher account is free, but if you want access to the premium features, you'll have to pay. I really love Storybird, because it's along the same line - choose art, type your story, and publish. But with ZooBurst, students can search for characters and backgrounds, so they can mix and match while they're creating their pop-up book. I think this Web 2.0 Tool is great, and I've already made an account and had fun learning and playing. Here's a link to the first ZooBurst book I made. It's nothing fantastic because I was trying to get used to the site and format of making a book. But it was fun, and I think you should check it out! 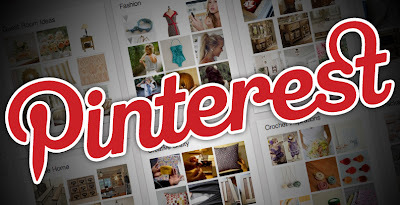 For anyone that isn't familiar, Pinterest is a social network and virtual pinboard that allows users to organize and share images and videos. I find myself on Pinterest usually every other day, sometimes even every day if I have some unexpected free time. I'm addicted, and although it's probably not the best use of my time, I have found some great ideas, recipes, and tips. 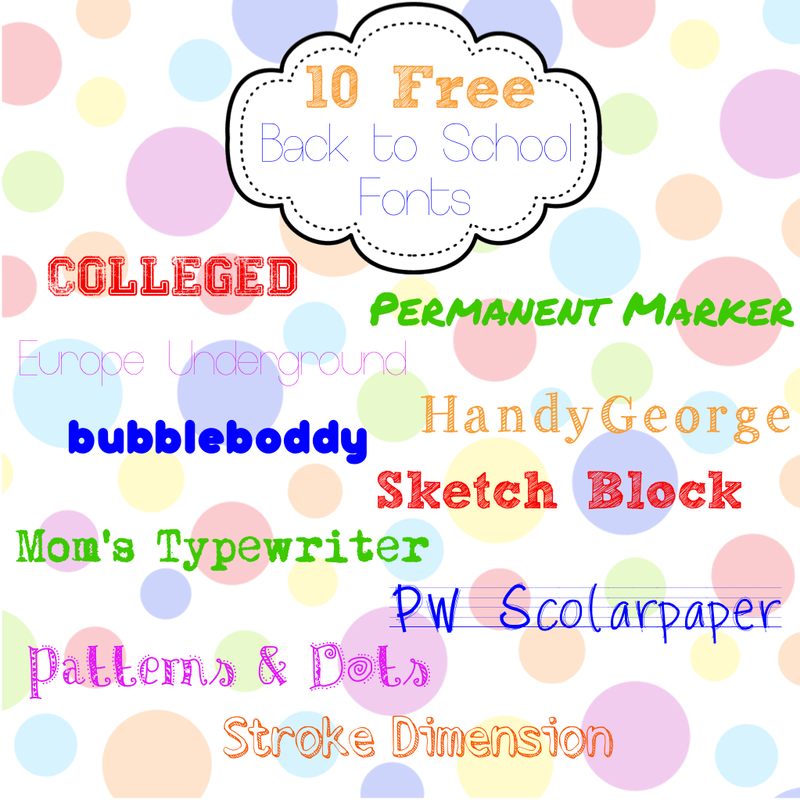 Most of my pinboards probably won't interest you, but I wanted to share my "Teaching" pinboard because I've found some really great ideas and blogs from other Pinterest users. I'm curious if anyone else loves Pinterest as much (or half as much) as I do? What are your favorite categories and types of pins? Have you found any great educational/teaching pins that are worth sharing? Feel free to share your link or username, and I'll follow your boards! I've read that if you fall asleep at night within 5 minutes of going to bed, that you're considered to be exhausted and severely sleep deprived. That's me....every single night. So this morning I decided to take advantage of not having anything planned, and sleep in! At noon, I'm still being very lazy, sitting on the couch, reading Real Simple, drinking coffee from my new "i <3 my aunt" mug (!! ), and now, blogging! I hope the rest of my weekend is this relaxing! I haven't blogged for a couple days, but I had my topic ready to go: blogs! At the beginning of the school year, it's important to talk about internet safety, netiquette, and other related topics since a lot of our time in the computer lab is spent using the Internet. One of my favorite resources is BrainPOP, and I'm SOO glad that my school has a subscription! BrainPOP (4th grade and up) and BrainPOP Jr. (K to 3rd) are two wonderful resources that have tons of videos on almost any topic imaginable. And the videos are also supported with games, writing, word wall, and vocab activities, just to name a few. 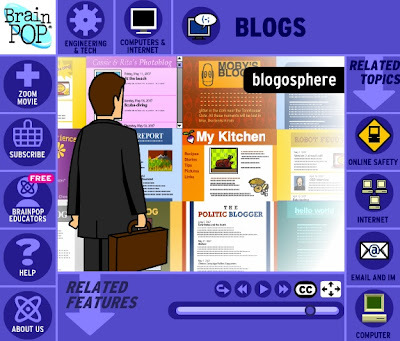 I love their technology videos, specifically the ones about blogs, because they're kid-friendly, while still being informative and detailed. Here are a couple screen shots that are linked directly to the videos I'm talking about! SN: Can I mention how much I LOVE that Blogger resizes your pictures for you, and then you can choose the size you want, S - XL!!! Being the webmaster at my school, and having to size, and resize, and tweak to get images just the way I want them, this is SO much easier, and much appreciated! Thanks Blogger!! Anyway, that's it for now! I hope everyone has a fantastic Memorial Day Weekend! !